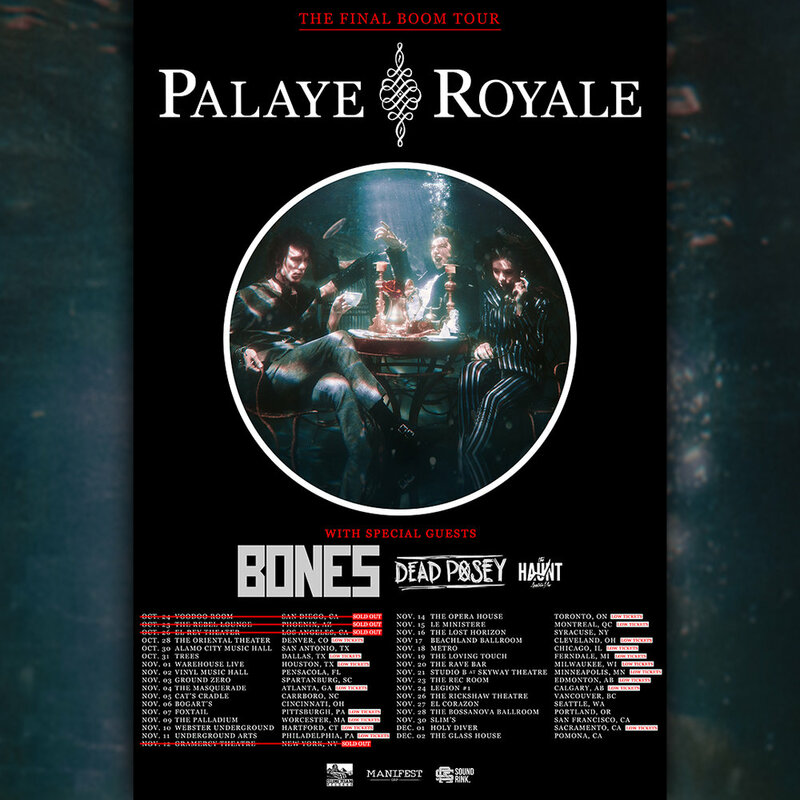 Bones release CAPTIVATING "i'm Afraid of AMericans"
Tour Dates with Palaye Royale! We’re excited to announce we’ll be supporting Palaye Royale on select USA dates this fall! Visit https://www.bonesuk.com/shows/ for tickets and more info! New York, NY (April 16, 2018) – Female-led LA via London duo BONES are carving a fierce path through modern music, bringing a unique take to rock and roll through powerful guitar, provocative lyrics and industrial electronic drum and bass. This year they joined the all-star lineup for The Howard Stern Tribute to David Bowie, covering "I'm Afraid of Americans" for the King of All Media's compilation and have now been added to The Revolution 3 Tour, joining Stone Temple Pilots, Bush and The Cult for an amphitheater run following festival performances at Hangout and Lollapalooza. The band recently demolished SXSW and performed an intimate set for clubhouse. Enjoy a new live video below of BONES tearing through stage favorite, "Beautiful Is Boring". Rosie (singer) and Carmen (guitar), create all of their own images, videos and luck, catching the attention and toured with the likes of: Highly Suspect, Band Of Skulls, KOOKS, PVRIS, Skunk Anansie and Miyavi. Nothing about the duo's music feels uninspired, with each dynamic track igniting passion and empowering all listeners to be their truest selves. BONES will play Lollapalooza this year in support of new music in 2018! Visit www.lollapalooza.com for more info! BONES played SXSW this year! BONES’s cover of “I’m Afraid Of Americans” is featured on Howard Stern’s new David Bowie Tribute compilation! The show special will also be available On Demand via the SiriusXM app. Visit howardstern.com for more info! BONES will tour the USA in March 2018! Visit bonesuk.com/tour for tickets and more info!